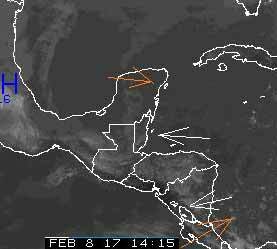 Belize NMS: Mainly fair weather conditions will prevail the next 24 to 36 hours. A slight increase in showers expected over some areas after mid-week. 24-hour forecast: Sunny skies with a few cloudy spells today and partly cloudy skies tonight. Showers, if any, will be isolated. Today: Winds: East 10-20 kts. ; seas: Choppy. ; waves: 3-5 ft.; isolated showers. Tomorrow: Winds: E-NE 5-15 kts. ; seas: Light chop. ; waves: 2-4 ft.; isolated showers. Marine Outlook: Thursday night:- Winds NE'ly 10-20 kts. ; seas: Choppy. ; waves: 3-5 ft.; a few showers mostly south. General Outlook: Continuing mainly fair with only isolated showers during Thursday, then some cloudy spells with a few showers mostly over the south Thursday night. 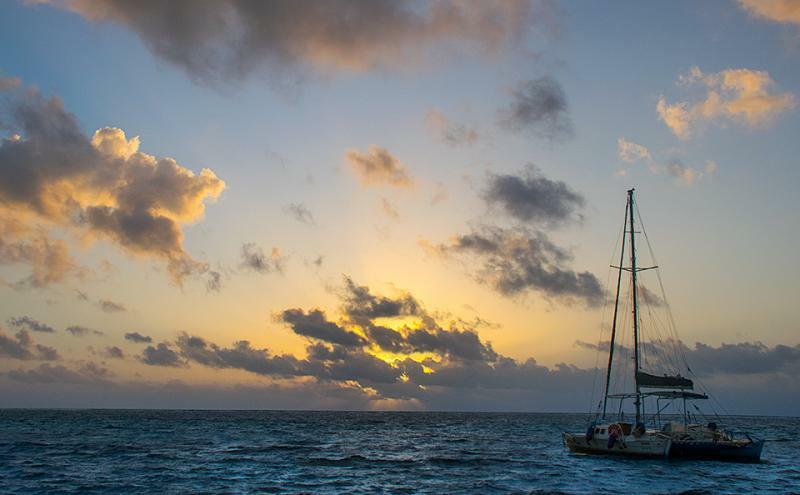 On Ambergris Caye this morning we have a sunny warm day with an expected high of 86. Our weather is warming up now that we are into February, we could still get some cold fronts, but no sign of any at present. Very little cloud in the easterly Caribbean wind, no clashing from the high level westerly winds. 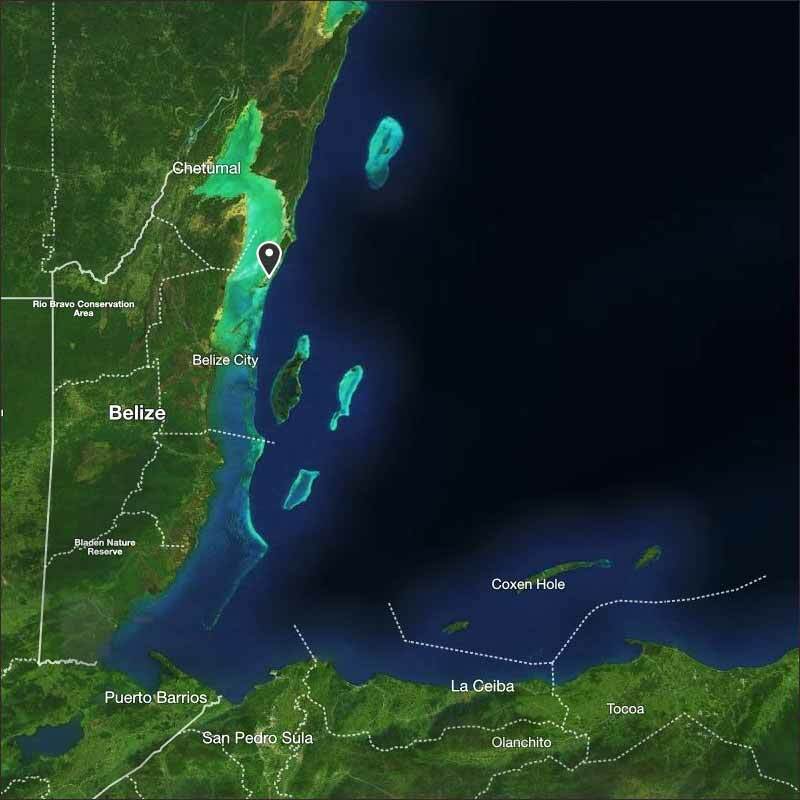 There have been a few very small rain showers in a few parts of southern Belize. Looks like today will be mainly sunny, white clouds building later, probably no rain.